For people in parts of Litchfield and Darwin areas. Issued at 1:48 pm Friday, 9 November 2018. 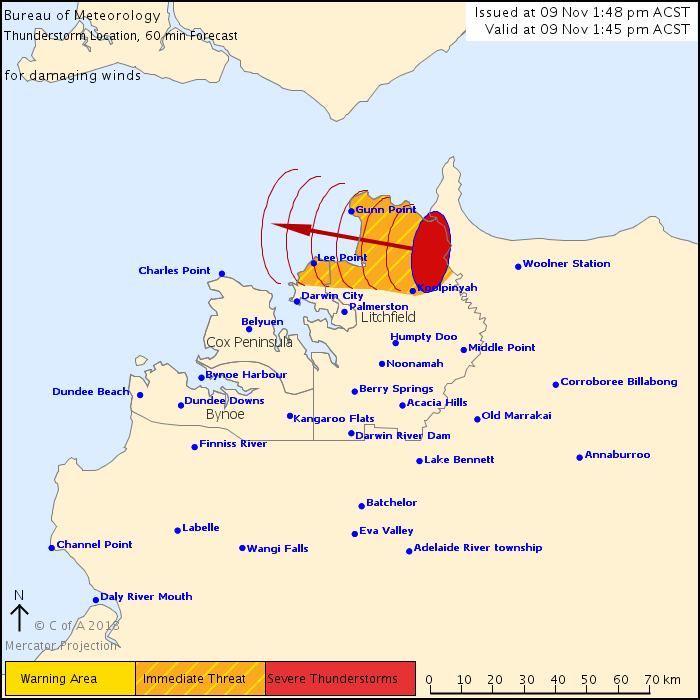 The Bureau of Meteorology warns that, at 1:45 pm, potential severe thunderstorms were detected on the weather radar near Gunn Point, the Adelaide River to the east of Darwin and Cape Hotham. They are forecast to affect Koolpinyah and Leaders Creek by 2:15 pm and the Northern Suburbs, Lee Point and Shoal Bay by 2:45 pm.